The Howard mansion, built in 1894, now houses the Howard Steamboat Museum. 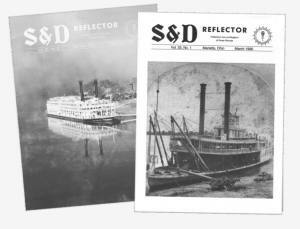 Jeffersonville, Indiana is on the Ohio directly across from Louisville, and is home to the Howard Steamboat Museum. 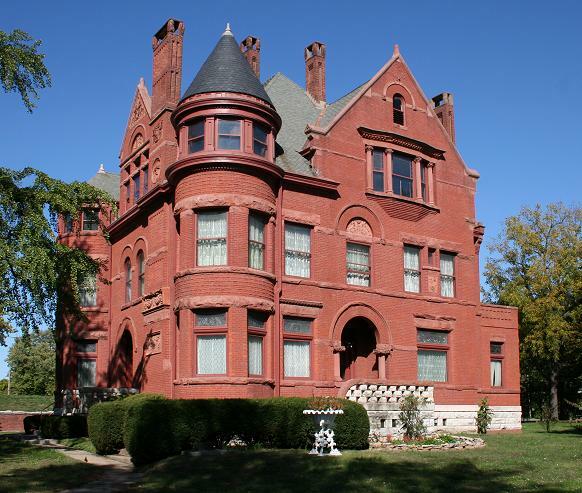 The museum is housed in the 1894 Howard mansion, which is worth a visit for its architectural interest alone. Even after floods and fire, the old home is in great shape and is loaded with original furnishings and décor. Much of the ornate woodwork inside was crafted by workers from the Howard steamboat yard, just across Market Street and directly on the river. James Howard started the yard at Jeffersonville in 1834. Three generations of Howards would go on to build over 3000 vessels at the yard, including many of the finest steamboats to ply the American rivers. The US Navy took over operations at the yard in 1941, constructing numerous sub-chasers, LSTs, and other craft at what was and still is the largest inland shipyard in the country. The yard remains busy today, and visitors to the mansion can hear the clanging of steel plates as Jeffboat Inc. continues to construct modern river craft. 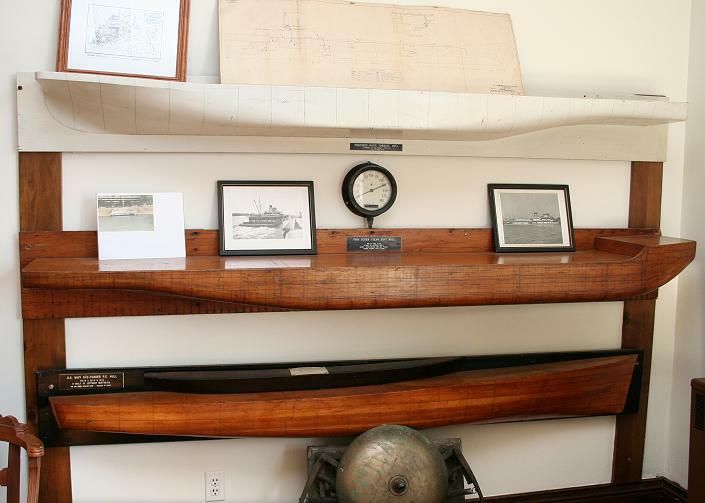 The museum’s collection includes numerous photographs, memorabilia, tools, paintings, and of course, steamboat models. 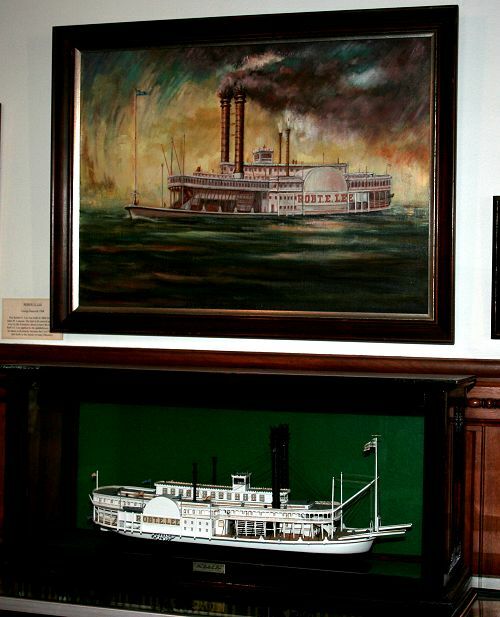 The steamboats run the full range from folk art to fine scale models. 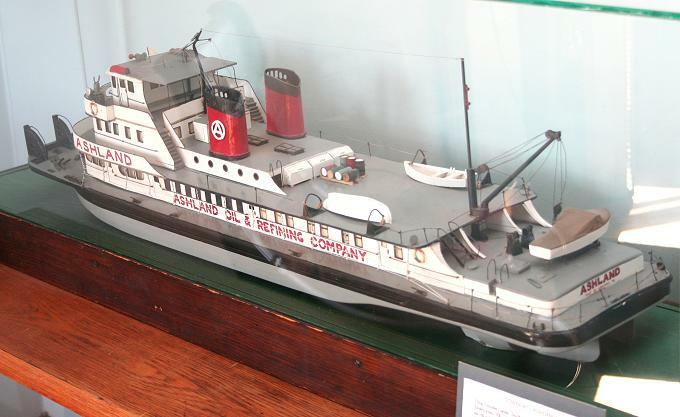 The queen of the collection is a 1:48 scale model of the Howard-built Indiana by Eugene Salika of Illinois. The model includes several R/C functions and many interior details which can be seen through opening doors and cut-away sections. Mr. Salika’s model won multiple Golds in shows in the US, Canada and England in 1986-88. The Howard Steamboat museum is open year-round, Tuesday through Sunday until 4pm, but do check with them before your visit. There is a modest fee, but you will be treated to a delightful tour of the mansion and exhibits, after which you may roam to revisit items of special interest. After your visit, have a meal at one of the riverside restaurants just down the street. With luck, you’ll be treated to the spectacle of a fifteen-barge tow pounding its way up the river! Museum at (A)… Jeffboat immediately south on the river bank, and Louisville across the river from it all. The 200×38 foot 1923 packet Tom Greene, by Charles Cason of Kentucky. 1:48 scale. E. F. Salika’s prize winning Indiana in 1:48 scale features R/C functions and numerous interior details. 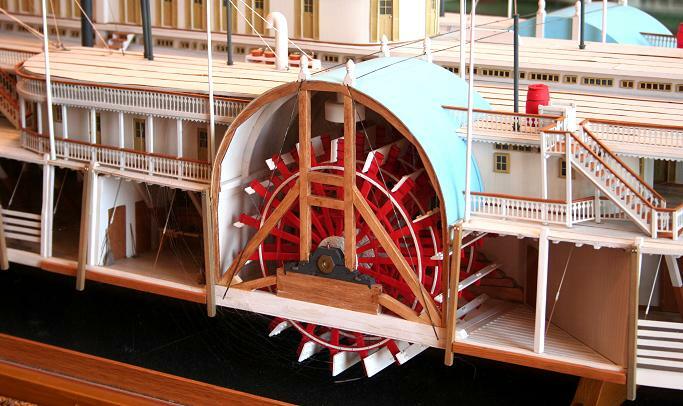 Indiana’s detailed paddle wheel is visible through a cutaway. Detailed engines and a blacksmith’s shop lurk in the shadows. 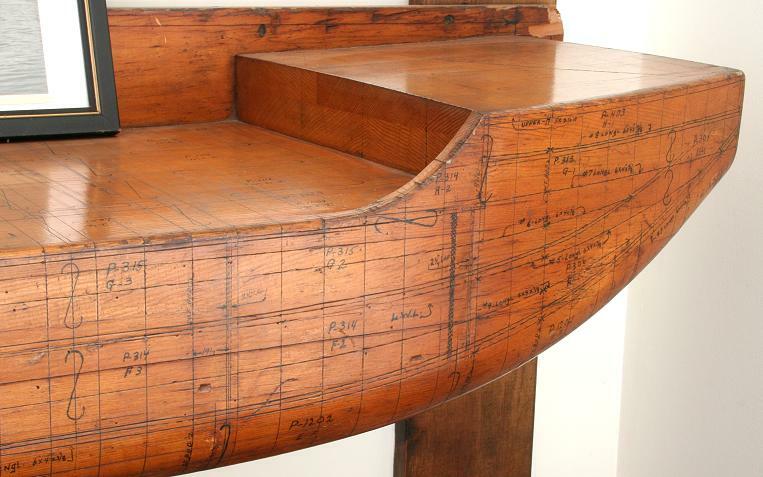 Indiana’s foredeck. The model was completed in 1986. 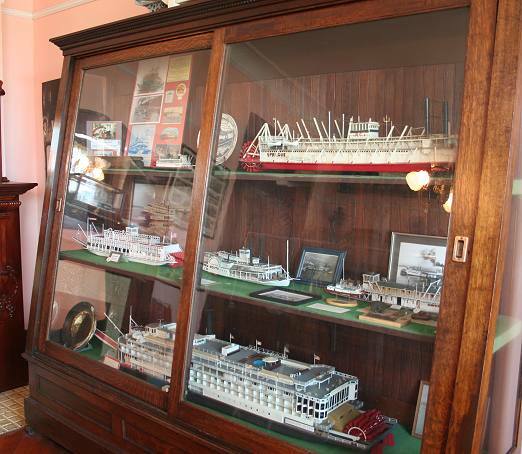 The museum is full of cabinets full of steamboat models from all eras. 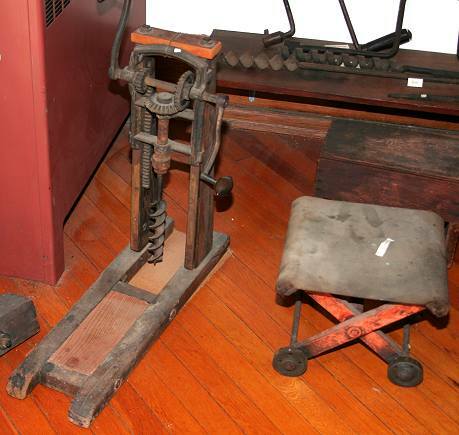 A wide array of ship building tools is on display. Here we see a boring rig for fastening deck planks. Paintings are often found displayed with corresponding models, as with these Robt. E. Lees. 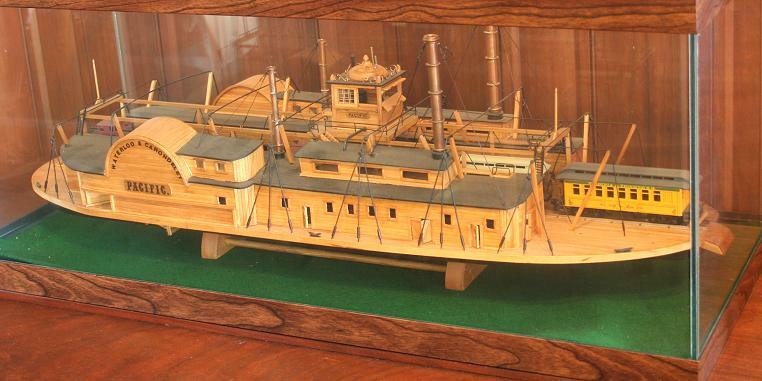 The 1878 railroad transfer steamer Pacific in natural finish; builder’s name not displayed. 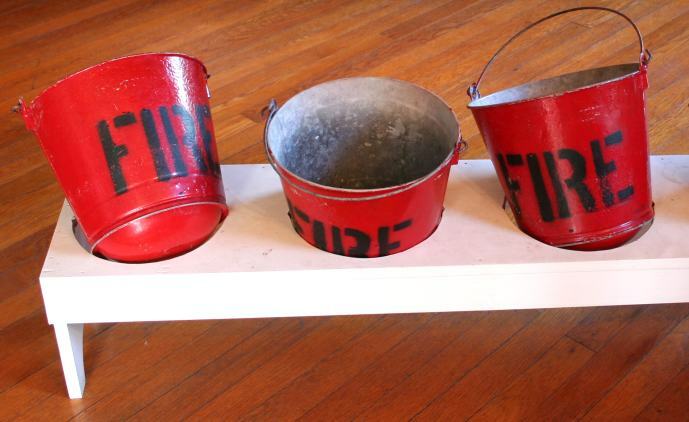 Fire buckets. To keep the crew from absconding with them for other purposes, the buckets have round bottoms and special racks. 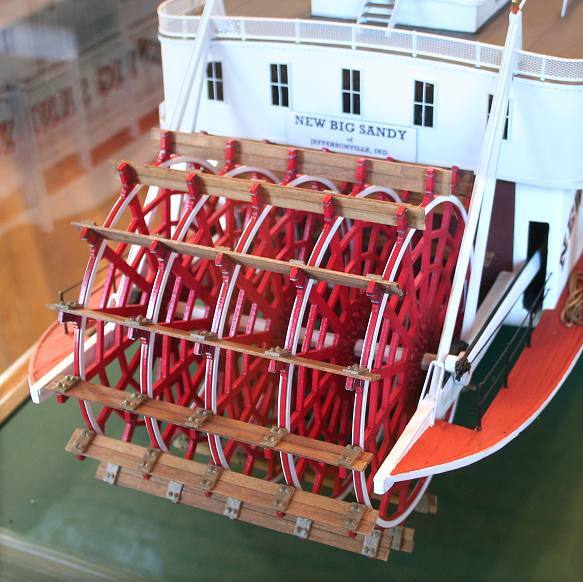 Well known modeler John Fryant built the fictional New Big Sandy in 1956, and restored it in 2006. Fryant’s attention to detail is apparent from his earliest models. Bow & paddlewheel, New Big Sandy. 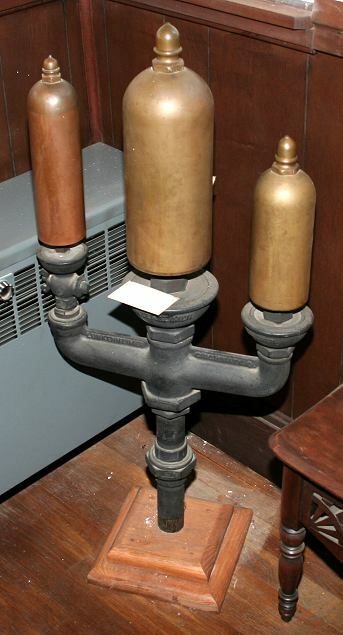 This Lunkenheimer three-chime steam whistle was made up the river at Cincinnati. From an unknown steamboat. 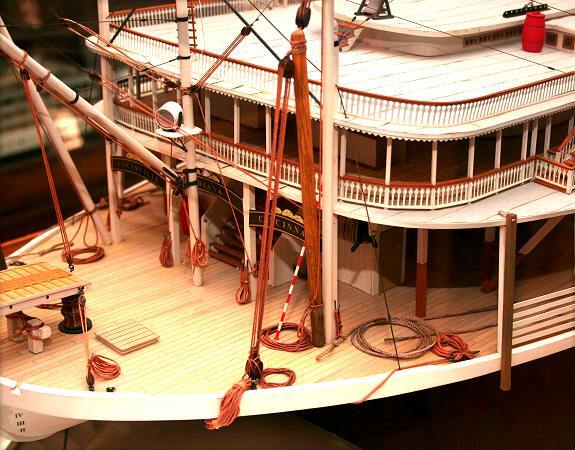 The 150 foot Ashland in 1:48, constructed by Capt. Fred Way, who piloted her during the war years. Several half hulls are on display. From top: Towboat proposal model; Twin-screw steam towboat; 173’ sub-chaser. Detail, twin-screw towboat half hull. During the war years, the Howard yard was acquired by the Navy to construct sub chasers and LSTs. 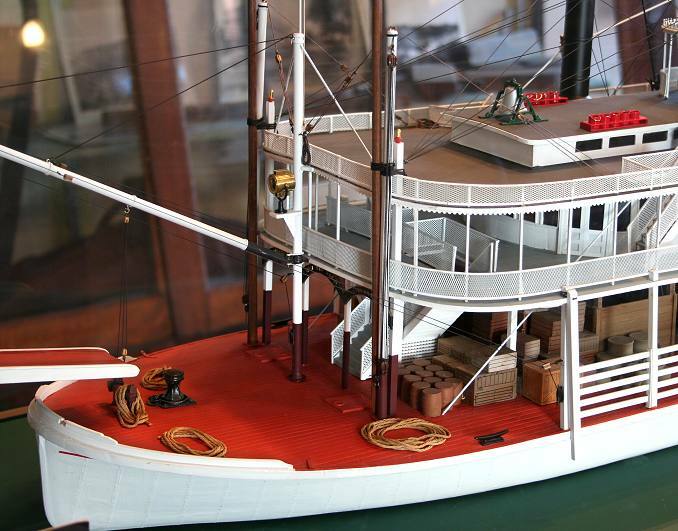 This LST cut-away model was built by Jerry Howe. 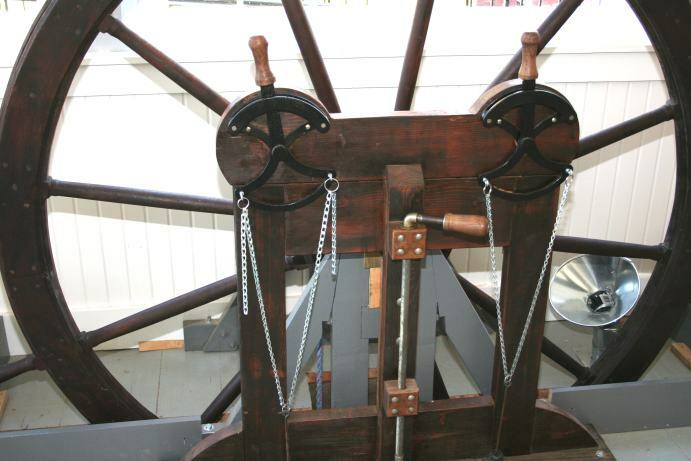 One of the museum’s newest displays is a steamboat wheel and bell stand, fun for kids of all ages! Any models from Robert Thomas of Powhatan Pt., Ohioi formerly of Clarington, Ohio? He was my great uncle and many of his models are on display across the country. Just curious. I’m afraid I don’t have a list of modelers represented at the museum… I suggest contacting them directly.